Anyone that has kids knows that they take a lot of your attention and your energy. Sometimes you get so involved in your kids that you forget about yourself. This happened to me and I only have ONE kid. 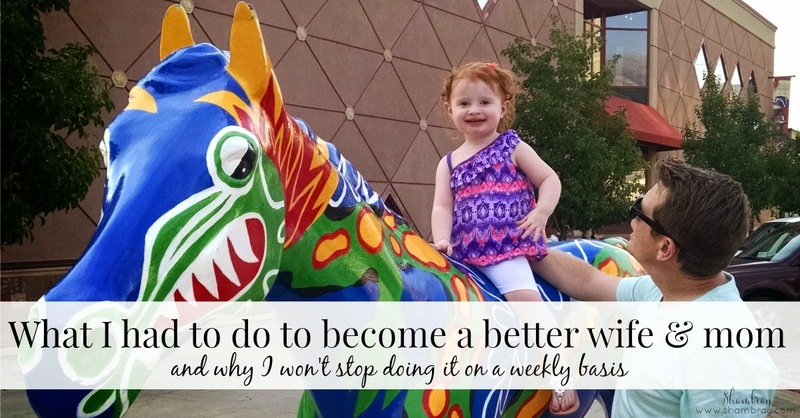 Pretty soon after we had our daughter I started feeling drained and borderline depressed. I know what you are thinking “Did you think having kids would be a walk in the park?” Well no, but I didn’t think I would be crying ALL the time and trying to stay sane on a daily basis. WAKE UP CALL. With that said I wouldn’t have it any other way. Even with all the hardships, my daughter brings us so much joy that we could not get any other way. I am very happy being her mommy. I decided to come up with a system to help my husband AND me get an escape every week. Once a week we take a “night off”. We can do anything we want to do that night. We could sleep if that is what we choose. The sky is the limit. This has provided us sanity during crazy times. We can get out and just be Shambray/Ryan. We can work on our talents, work on developing new talents, cultivate friendships, or alone/quiet time. The other benefit is that we get one night a week to bond with our daughter by ourselves. For example, I can strengthen our bond without Ryan there (this is not as important for me since I get one on one time with Hannah during the day) and he can have time to fully focus on Hannelore when I am gone. They go on all sorts of adventures. I truly believe this is fabulous bonding time. We are spoiled right now because we only have one child. 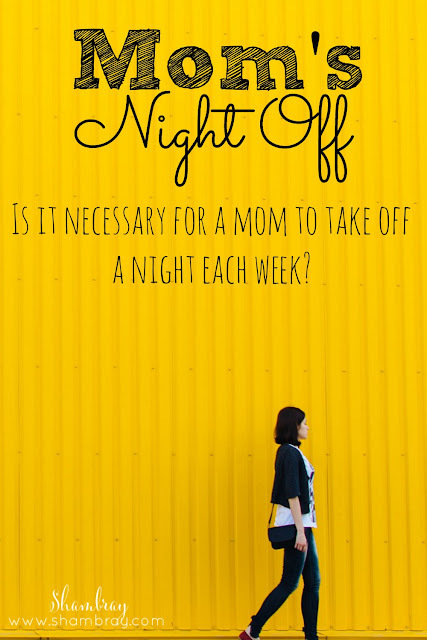 Once we have two children and either of us take a night off then there will not be bonding time on a one-on-one basis, but it still will be good for the one taking the night off to relax and reconnect with themselves. It is also a great time to plan something fun with the kids for the parent who is staying home that night. If you are feeling trapped and feeling guilty for even thinking that you are trapped because you feel you should love being a mom and should not feel trapped; I want you to know that YOU ARE NOT ALONE. Please do not feel guilty. We all need time to ourselves. If you already do not have a night once a week set up for you to do something for yourself then talk to your spouse about starting something like this and give them the option to have a “night off” as well. If you are not married then talk to friends and family and see if they are willing to help you out. I promise you will not regret it. It will be so good for your family and yourself! When you do this you will be able to give your kids the gift of a "present mom", because you have had time to recharge yourself. You will no longer be “broken”. Let’s be honest...who wants a broken mommy? Do you have a “night off” ever? What are some other ideas that you have started in your family to help yourself recharge? Ashley! This was my saving grace during the nights when Hannah was little. She would scream and scream and at least I could get away even for just a bit. Girl, what the heck is a night off? Pretty sure I haven't had one of those since 2009, and definitely not on a regular basis. You bring up really good points though, and I can see myself incorporating something like this into our family! Hahaha. I have been bad lately too. I have been quite sick and haven't had energy to take a night off. So I am feeling it. If you can, try it out! It is heavenly!